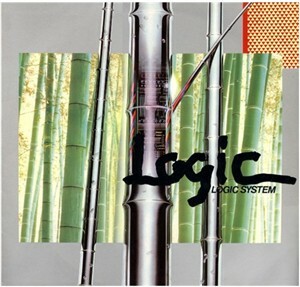 Logic System is a musical project of Hideki Matsutake. Hideki started as an assistant for Isao Tomita in the 70's and is well-known as the sequencer programmer and modular synthesizer operator for the Yellow Magic Orchestra (YMO), but he wasn't a member of YMO. He worked on several of their albums and toured with his huge collection of synths. He also did sequencing work for numerous technopop albums for other artists, particularily in the early 80's. In 1996 he performed in a big concert event organized by Isao Tomita and was also guest on Towa Tei albums. On his website is a huge number of MIDI files he released, with some of YMO's original songs. Hideki Matsutake (born August 12, 1951 in Yokohama, Kanagawa Prefecture, Japan) is a Japanese composer, arranger, and computer programmer. He is known for his pioneering work in electronic music and particularly music programming, as the assistant of Isao Tomita during the early 1970s and as the "fourth member" of the band Yellow Magic Orchestra during the late 1970s to early 1980s. In 1981, Matsutake formed "Logic System" with Makoto Irie, with whom he toured to perform in other Asian countries several times. The unit has released 10 albums to date, 2 out of them released in 8 countries. Its latest album is Tansu Matrix, released in 2008. He was also a member of Akihabara Electric Circus, which released the chiptune album Super Mario Bros. 3: Akihabara Electric Circus in 1988. He also composed the video game music for Treasure's Guardian Heroes in 1996, alongside Nazo Suzuki. Matsutake is currently Chairman of Japan Synthesizer Programmers Association (JSPA).